(March 19, 2019 – Toronto, ON) Good news, and it’s true too. 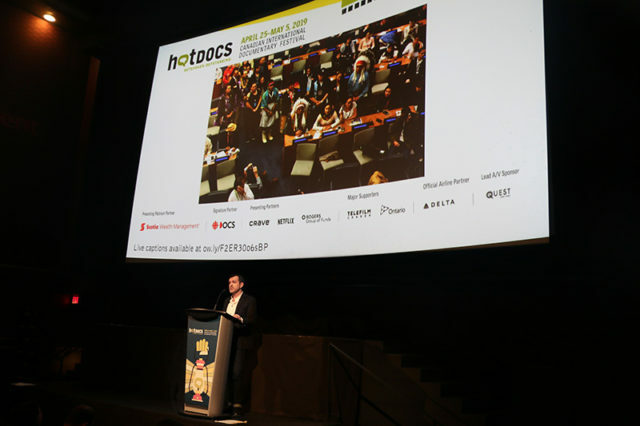 Documentaries are doing well, and the annual Hot Docs Canadian International Documentary Festival (Hot Docs) is not just alive and well, but growing and thriving. From 2951 film submissions, this year’s slate will present 234 films along with 18 interdisciplinary projects from 56 countries in 15 programs. We are pleased to report 54 per cent of the directors in this year’s Festival are women. places tinged with sadness, especially when she said this was a film she wishes she didn’t have to make. 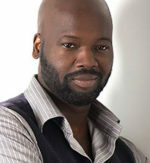 We Will Stand Up shines a very bright light on the inequities and racism in the Canadian legal system. 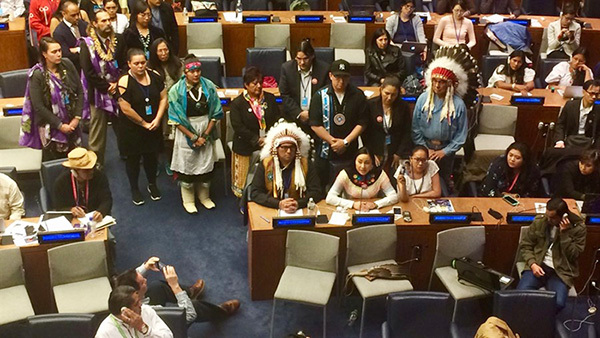 On August 9, 2016, a young Cree man named Colten Boushie died from a gunshot to the back of his head after entering Gerald Stanley’s rural property with his friends. The jury’s subsequent acquittal of Stanley captured international attention, raising questions about racism embedded within Canada’s legal system and propelling Colten’s family to national and international stages in their pursuit of justice. 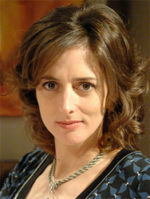 Tasha Hubbard is the acclaimed director of Two Worlds Colliding and Birth of a Family. She weaves a profound narrative encompassing the filmmaker’s own adoption, the stark history of colonialism on the Prairies, and a transformative vision of a future where Indigenous children can live safely on their homelands. We Will Stand is produced by Hubbard and George Hupka for Downstream Documentary Productions, and Jon Montes and Bonnie Thompson for the National Film Board (NFB). 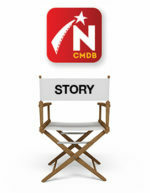 The executive producers are David Christensen (NFB), Janice Dawe and Kathy Avrich-Johnson. 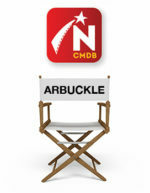 We Will Stand Up falls within competitive Canadian Spectrum program, which includes a large number of films. 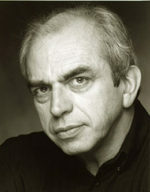 A few of them are Prey, from Border City Pictures, producer Cornelia Principe and director Matt Gallagher. It looks at a subject that has been in the news almost constantly the last few decades and follows a sexual abuse survivor who pursues justice in a case against the Catholic Church; Our Dance of Revolution from director Phillip Pike is an overdue look at Toronto’s Black LGBTQ community that presents an oral history of local legends and freedom fighters; and The World or Nothing, from Ingrid Veninger’s focuses on twin brothers who migrate from Cuba to Spain in pursuit of internet stardom. As mentioned there are 15 programs during Hot Docs. They include the Big Ideas Series, the International Spectrum and the World Showcase program. Each year Hot Docs looks at the films of a particular nation and this year it’s the Made In Italy program. This year’s Redux program, a retrospective showcase of documentaries that deserve another outing on the big screen is presented in partnership with the National Film Board of Canada and in recognition of the NFB’s 80th anniversary, Redux will celebrate the work of its female filmmakers, including two shorts programs: Oscar-Winning-shorts, which includes three Academy Award-winning films that were produced out of Studio D in the 1970s, the world’s first all-woman production unit under the NFB; and Five Feminist Minutes which, inspired by a series of shorts produced out of Studio D in 1990, will screen four new films from contemporary directors who pick up the thread where these trailblazing filmmakers left off. We previously covered the Special presentations program, but seeing the trailer for Toxic Beauty was bit of a shock. It’s from writer, director, producer Phyllis Ellis who was honoured at the 2013 Canadian Screen Awards with the prestigious Donald Brittain Award for Best Social/Political Documentary for her film About Her. 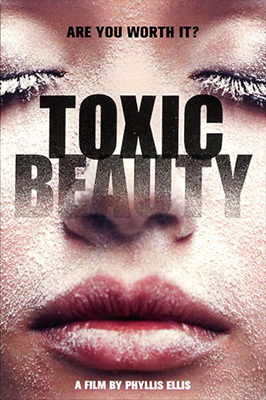 Toxic Beauty weaves together personal stories and world class research to expose a frightening hard truth – women are dying, children are at risk, and unregulated chemicals, toxins and carcinogens in cosmetics and care products are making us sick. It’s from White Pine Pictures, renowned for their documentary films. Also from White Pine, The Corporate Coup d’État dissects America at a troubling crossroads, offering piercing insights from journalists, authors, philosophers, and activists on the current state of democracy. Chris Hedges, John Ralston Saul—who was in attendance with White Pine founder and producer Peter Raymont—Maude Barlow, Cornel West and others describe President Trump as a symptom of a broken system where power now lies with corporations, not citizens. The Corporate Coup d’État will have its Canadian Premiere on April 29 at 9:30PM. 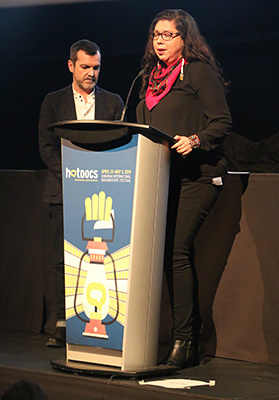 Other non-screen activities at Hot Docs includes the premier documentary conference and market, where Hot Docs welcomes over 2,000 industry delegates who will partake in a wide array of industry events and services, including conferences sessions, receptions and parties, and Hot Docs Deal Maker and the Hot Docs Forum. The Hot Docs Canadian International Documentary Festival runs from April 25 to May 5. The full lineup for the 26th annual Hot Docs festival can be found online.